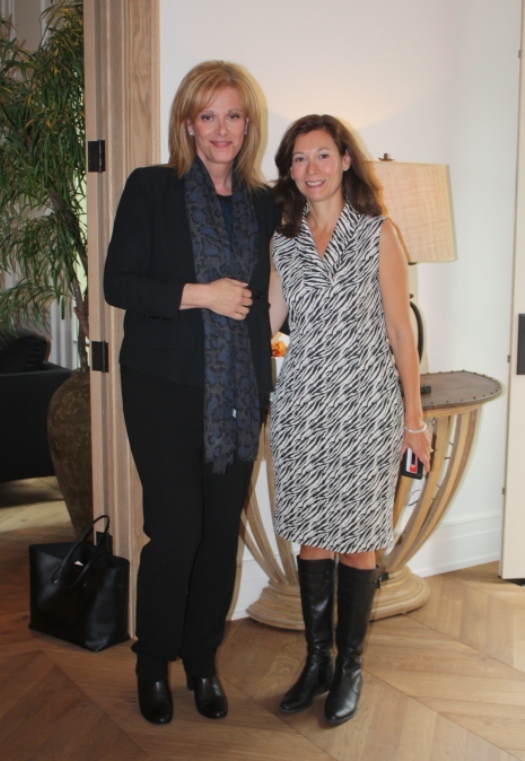 Yesterday, I was invited to preview the 2011 Princess Margaret Oakville Showhome, and it was truly delightful. 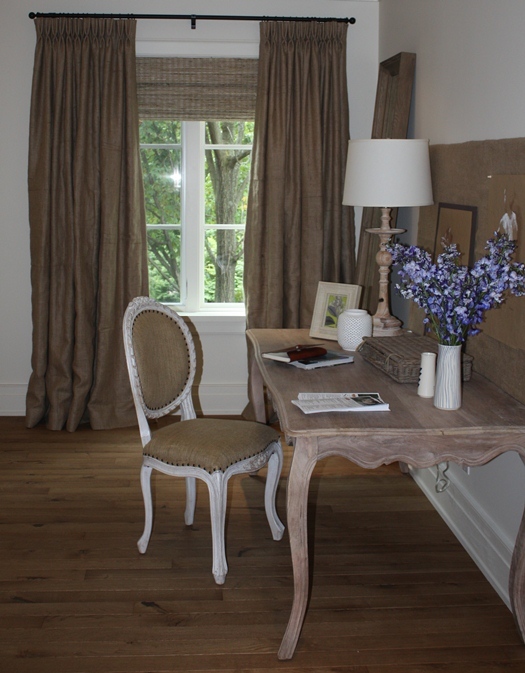 The home is inspired by old world Belgian design, and was filled with some of my favorite design features. 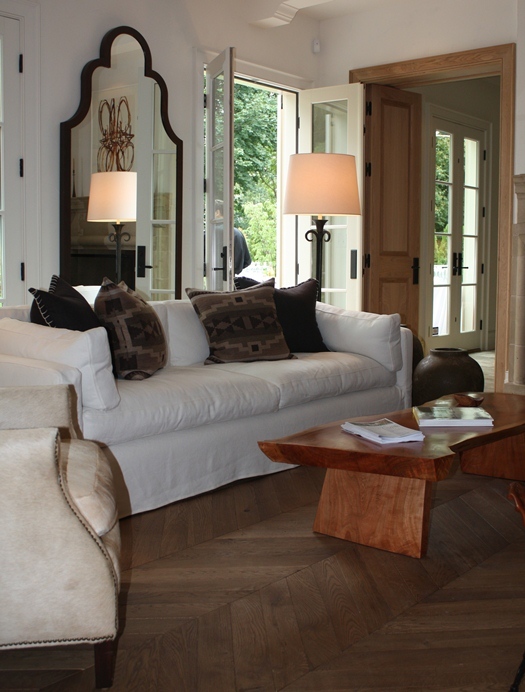 First and foremost were the Chevron flooring that graced the main floor. Interior doors and casings, maintained the flow of the aged wood, that was elegant and enduring. What a treat. It took me a whole 3 seconds to learn that the fireplace screen came from our shop, Anvil! Since we custom manufacture our iron work to designers, firms and retail stores, we usually don't know where they end up. 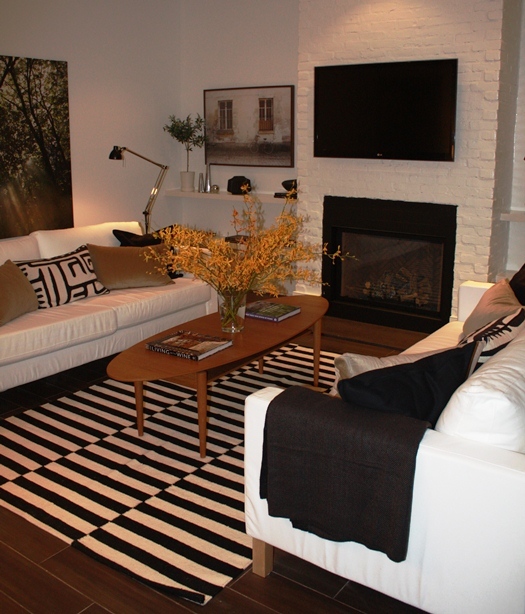 This one came from one of our Toronto clients, The Fireplace shop! 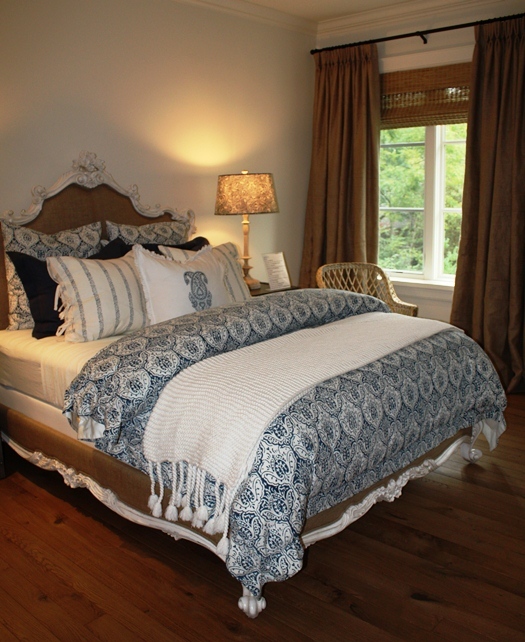 This bedroom is one of my favorite rooms in the home. I loved the bed, and the blue and white bedding, and the writing desk, above, that was placed against the opposite wall. 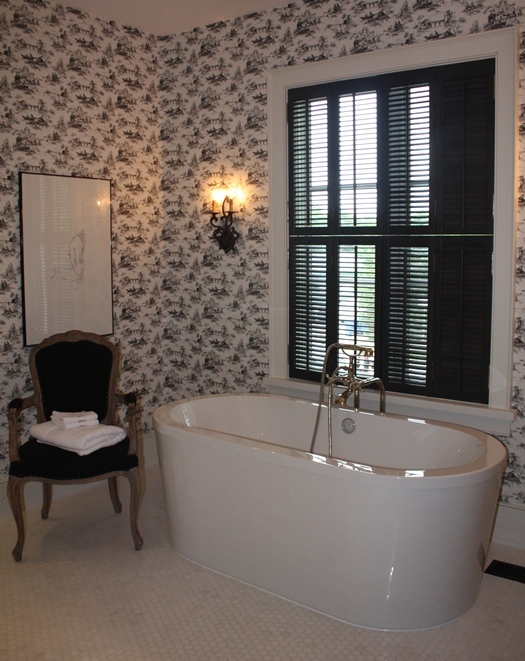 The window coverings were also all quite beautiful, they had a great weight and fullness to them. Etoile wallpaper? Some loved it, others not so much! I thought it looked fabulous! Not the greatest picture, but this room was adorable! 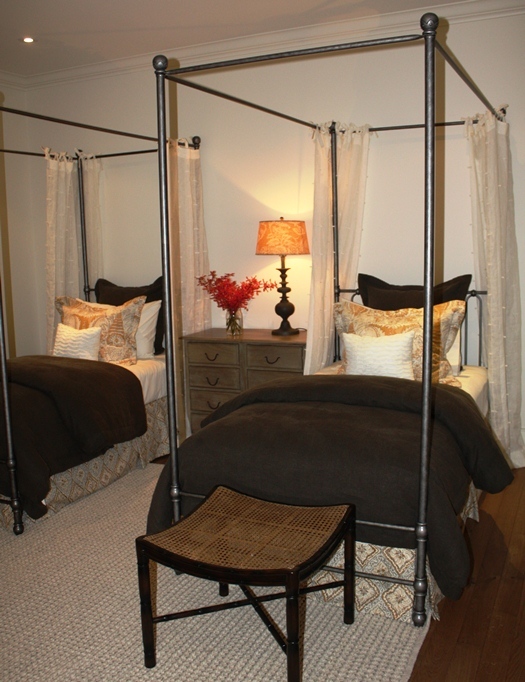 Twin canopy iron beds and bedding you just want to sink into. 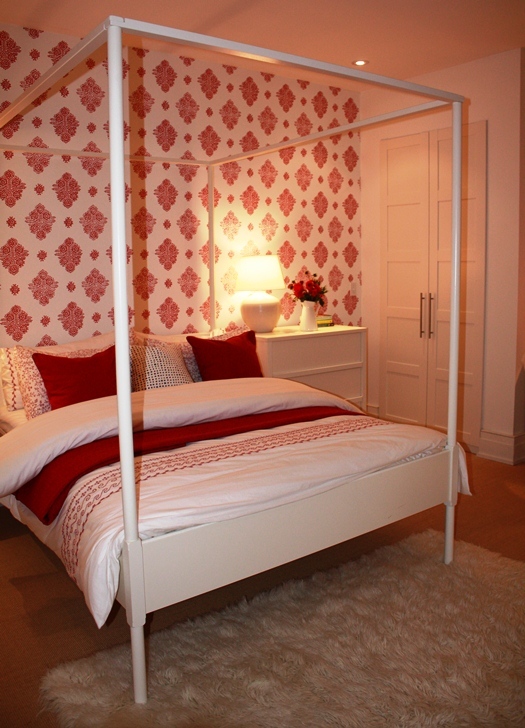 The red bedroom and the following rooms were all in the lower level of the house. The most impressive architectural feature were the windows (not shown) that were huge. It was one massive window well, with an iron grill over it, letting natural light in! It was a pretty rainy day, so the sun wasn't shining in, but it made a huge difference to the overall feel of this basement. Above, Christine of Bijou and Boheme is trying to break into the wine cellar. You can dress her up.. Ikea generously donated most of the furnishings on this level, and it looked great! Check out the family room below. Also not shows was an amazing laundry studio. You know you are a mom when a laundry room takes your breath away. It's always great to bump into bloggers! 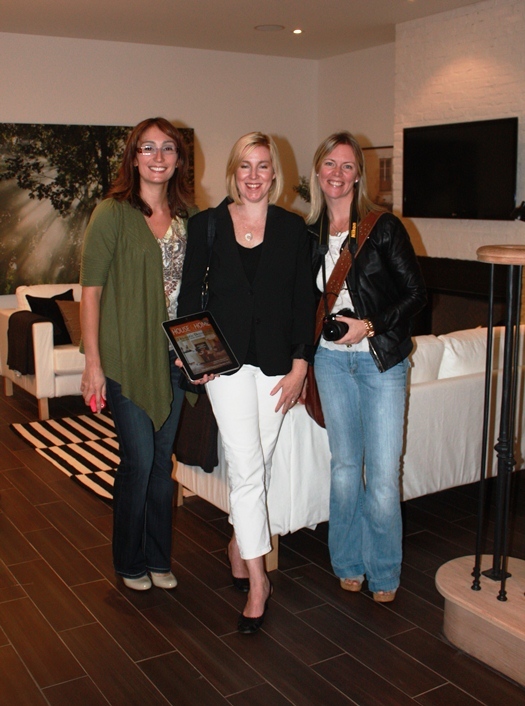 Wendy of Desire to Decorate, Lisa Murphy of House and Home, (who looks great even with her eyes 1/2 closed) and Christine of Bijou and Boheme. House and Home will be updating their site shortly with all the details of the home.